Established in Aurich, Germany, in 1984 by Aloys WOBBEN, ENERCON has been among the top producers of wind energy converters for nearly 30 years now, and the leader in Germany and in France. Two of the key contributing factors to the company´s success are innovation and quality. ENERCON uses the latest research methods and tools for the strategic process of developing innovative and profitable technologies. Developing new products is an essential factor of the business, however much emphasis is placed on further enhancing and refining existing serial machines. Elaborate simulation and test stations at ENERCON´s Research Centre allow precise advanced testing on new turbine components, providing customers with a reliable product which fulfils the highest of quality standards. 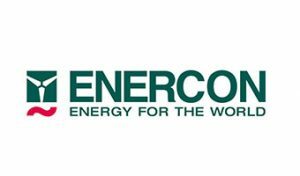 ENERCON will focus their activities on WP8 – Demonstration of aggregation approached for multi- services provision from a portfolio of distributed resources. ENERCON will give access to 2 different sources of flexibilities in terms of frequency control and voltage control. The first source of flexibility will be one (or several) windfarm(s) already in operation. An access to the windfarms (OPC data access) will be given so that setpoints (such as Active Power and Reactive Power setpoints) can be used by the concerned windfarm. The second source of flexibility will be a storage system which will be provided by ENERCON. Again services such as contribution to frequency control and/or voltage control will be provided.